February 12, 2018 — Darwin’s Natural Pet Products of Tukwila, Washington, has notified its customers that it is recalling select lots of its Darwin’s ZooLogics dog food due to possible contamination with Salmonella bacteria. 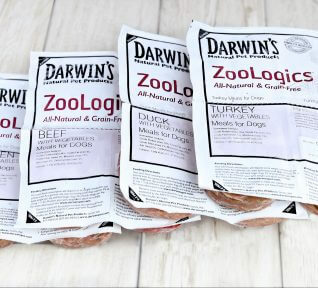 Note: No product photos of the affected products were supplied by Darwin’s. The following image was downloaded from the company’s website and may not be an accurate representation of the actual recalled products. No further information relative to the actual identity of the affected products has been made available to The Advisor. The following message was taken from a letter sent to Darwin’s customers by company founder, Gary Tashjian. “We believe most of this product has already been consumed, for the most part without incident, as most dogs’ and cats’ digestive systems are able to process pathogens such as Salmonella without harm.